Who is right will depend largely on the decisions that the AIIB’s top shareholders make regarding its operating structure. So far, the AIIB has not sought to amend the principle that the largest contributor to a multilateral organization gets the largest say in running it. 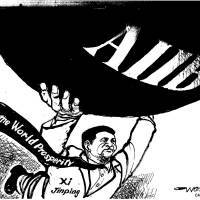 Just as the U.S. dominates the World Bank and Europe leads the International Monetary Fund, China will head the AIIB. This implies a larger global leadership role for China — which the world, including its traditional powers, should welcome. After all, global leadership is not just a matter of might; it also reflects the provision of global public goods. When World War II ended, the U.S., aside from being the world’s leading military and economic power, was the largest provider of such goods, through the Marshall Plan, support for the United Nations, and contributions to the Bretton Woods institutions (the International Monetary Fund and the World Bank). But massive debts have lately undermined the ability of the U.S. — not to mention Europe and Japan — to continue making such large contributions. Fortunately, China is willing and able to fill the gap. In fact, China might have done so within the Bretton Woods institutions, were the distribution of voting rights within them not skewed so heavily toward the incumbents, who still enjoy veto power. For example, China has a 3.8 percent voting share in the IMF and World Bank, even though it accounts for more than 12 percent of world GDP. The United Kingdom and France — which are one-third the size of China — each have a 4.3 percent share. With the incumbents unwilling to bring China’s voting share in line with its economic might, China had little choice but to launch its own institution. But the AIIB has its own objectives, which do not align precisely with those of, say, the World Bank. Specifically, the bank is a critical element of China’s “one belt, one road” strategy, which encompasses two initiatives: the overland Silk Road Economic Belt, connecting China to Europe, and the 21st Century Maritime Silk Road, linking China to Southeast Asia, the Middle East and Europe. While the U.S. “pivots” to the east, China is pirouetting west, applying the lessons of its development to its trading partners across Eurasia and beyond. Perhaps the most important of these lessons is that connectivity is vital to economic growth. Over the last three decades, the construction of roads, railways, ports, airports and telecommunications systems in China has fostered trade, attracted investment, and, by linking the country’s land-locked western and southern provinces to its more prosperous coastal areas, helped to reduce regional disparities. China’s Silk Road initiative, which aims to boost prosperity among China’s trading partners largely through infrastructure investment, is a logical next step — one on which China is spending significantly. In addition to its initial contribution of up to $50 billion to the AIIB, China has committed $40 billion to its Silk Road Fund, $32 billion to the China Development Bank and $30 billion to the Export-Import Bank of China. According to estimates by HSBC, the “one belt, one road” initiative could end up costing as much as $232 billion — just under two-thirds of the World Bank’s balance sheet in 2014. The $100 billion AIIB will play a central role in this effort. Given massive global demand for infrastructure finance — which, according to ADB estimates, will amount to $8 trillion in Asia alone over the next decade — the AIIB should not be considered a threat to the World Bank, the ADB or other multilateral lenders. Nonetheless, it will compete with them, owing to its distinctive — and probably more efficient — approach to lending. In fact, the AIIB’s operations will most likely resemble those of the World Bank in the 1960s, when engineers with hands-on development experience dominated the staff and could design lending conditions that worked for borrowers. In the late 1980s, the World Bank began to implement the Washington Consensus, pushing for economic and political liberalization, without sufficient regard for local political or economic realities. The result was conditional lending, with terms — created mostly by policy wonks — that many developing-country borrowers could not meet (at least not without hiring consultants to adjust their official reporting). The acid test of the AIIB’s effectiveness will be its governance model. One failing of the Bretton Wood institutions is their full-time shareholder boards of directors, which tend to undermine effectiveness by micro-managing and often requesting conflicting lending conditions. The World Bank has wasted far too much time re-organizing itself under various presidents, without recognizing the fundamental problem with its own governance structure. Even if the AIIB does not deliver as promised, its establishment is an important reminder that in a fast-changing world, economic governance cannot remain stagnant. 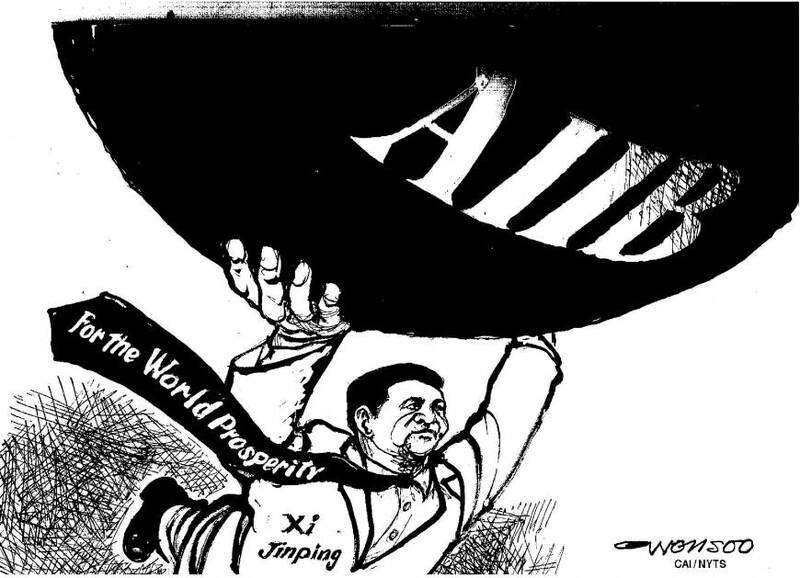 If Western leaders really do believe in innovation, competition and meritocracy, they should welcome the AIIB.